If you are on instagram, I am sure you have seen this trend sweeping across everyones feed! Pearl hair clips are everywhere and this is a love it or hate it trend. I personally love the gesture, but I like the more subtle nod to the trend through pearl bobby pins. I just ordered a set from amazon that you can shop here, and I think this is a great subtle nod to the trend! Another trend that people either love or hate is headbands! I think if they suit you, go for it! They are a great way to add something new to your hairstyle routine! If you want to see more from this trend whowhatwear has some great details and photos. These look really cute around a messy bun, but they are also a lot more gentle on your hair making them cute, functional but also better for your hair health! 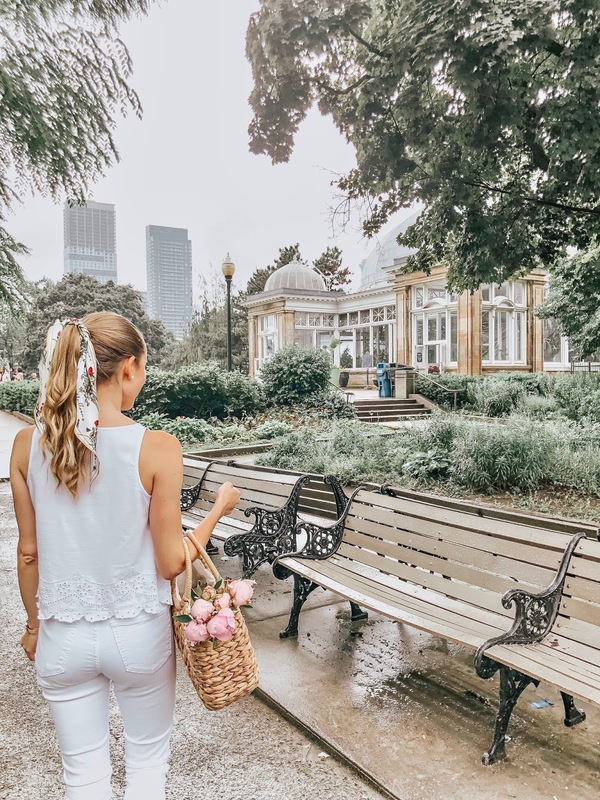 There are so many ways to style this trend, whether you tie the scarf around your head as a headband, tie a bow on the top, or letter the ends hang loose with your hair. Tie the scarf around your pony tail, or around the base of a french braid - so many cute options! This is a trend that I spotted last year, but is coming back full swing this year and I absolutely adore it. I have been seeing Broderie Anglaise style "lace" in all of the new spring looks in stores. Just like last year, straw bags are back! All natural fibre looking bags are really big again this year, and luckily this is an inexpensive trend to invest in and makes your wardrobe cute casual and very spring/summery! This is a trend that we saw a little last year, but I have seen taking over lately! There are so many different options for Espadrille Wedges but they are an essential for a chic looking this Spring/Summer season. 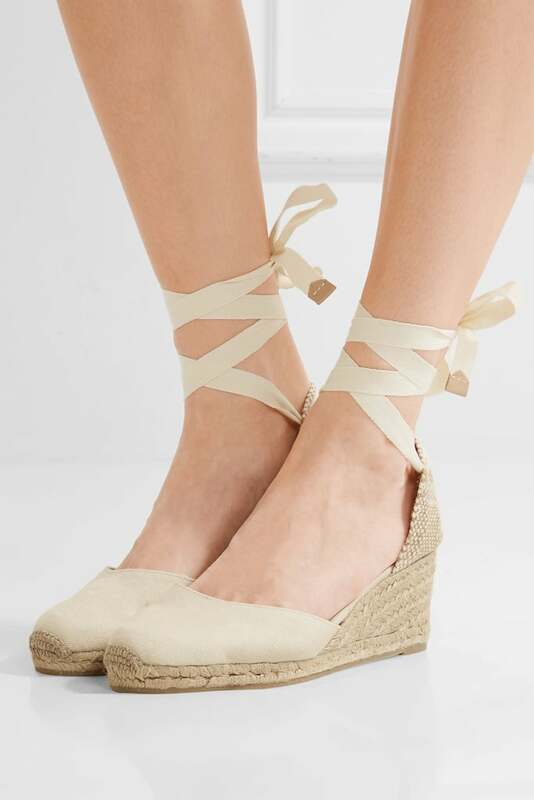 I purchased a pair of white/natural espadrilles with the ribbon ties and I can't wait to wear them.